For the 40th anniversary of the putsch in Chile, the memories of the visit of Fidel Castro in 1971, and almost two images of the same day. One with Salvador Allende, full of joy, on the balcony of the Moneda Palace, waving to the assembled people. 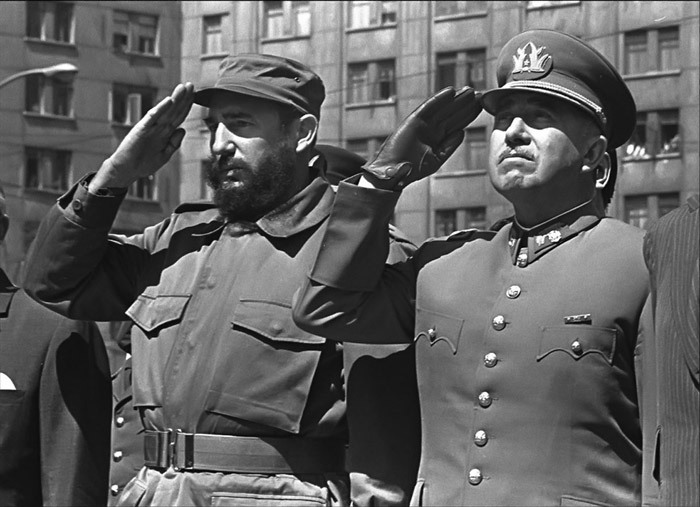 The second with General Pinochet, the commander of the regiment of the capital Santiago, during a public ceremony.